Volkswagens are built with their owners in mind. In German, Volkswagen actually means the “People’s Car.” With auto repair services and scheduled maintenance, your Volkswagen can continue to be the “People’s Car” as it was intended—driving you to work, taking you to the grocery store, or even taking a cross-country road trip. At Dave’s Ultimate Automotive, we keep this in mind. By hiring ASE Certified Technicians and factory trained mechanics, you can rest assured that your car will be repaired right the first time. Because your Volkswagen was built to specific European standards, it requires Volkswagen trained technicians who have access to Volkswagen specific parts and tools. Did we mention that our shops in Austin, Cedar Park, and Pflugerville offer Volkswagen repair services are guaranteed by a nationwide warranty? When you bring your vehicle to Dave’s Ultimate Automotive you can be confident that it is truly in the best hands. We also are happy to provide free vehicle safety checks on your car’s air conditioning, brake system, alignment and check engine light, further helping you and your family stay safe on the road! 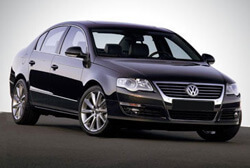 Thinking about purchasing a pre-owned Volkswagen? Our mechanics at Dave’s Ultimate Automotive can perform a thorough inspection of the car, and set your mind at ease when deciding on such an important decision.